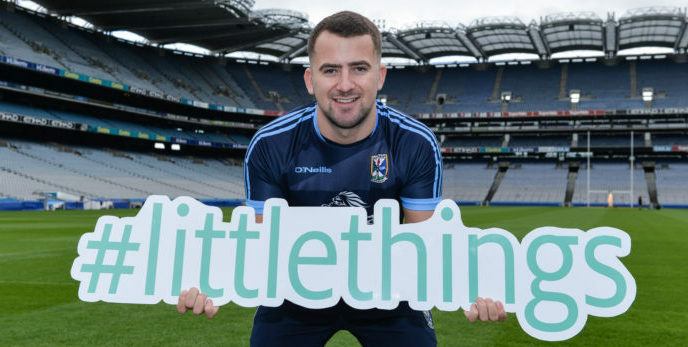 Real Talks, a dynamic organisation founded by Cavan GAA’s Alan O’Mara, have partnered with the GAA Healthy Club project to launch an exciting new initiative that will promote positive mental health in 11 GAA clubs in the north of Ireland over the next six weeks. This will be the first time a strategic and coordinated planned sequence of events of this scale and nature will take place in GAA clubs on the area of emotional wellbeing. As part of each club’s participation in this project, they will receive a positive mental health workshop on mental health, effective communication, personal leadership and resilience. A number of these sessions are open to the general public but some will work exclusively with teams within the GAA club and challenge the ‘dressing room environment’ that is often associated with sporting teams. Each seminar will be facilitated by Alan O’Mara, a renowned speaker for his mixture of honesty, insight, humour and passion on the topic of health and wellbeing. A senior Gaelic footballer with Cavan in recent years and an Ulster u21 champion, Alan became the first active senior inter-county player to go public about experiencing depression in 2013 and has since gone on to publish a best-selling memoir, ‘The Best Is Yet To Come’. All participating clubs are currently part of the GAA’s Healthy Club project which is supported by Irish Life, Healthy Ireland, the Health Service Executive (HSE) and the Public Health Agency (PHA) in Northern Ireland. The intention of the Healthy Club project is that every GAA club will become a hub for health and wellbeing. Clubs are supported in how best to make their clubs more health-enhancing covering a variety of topics including, physical, emotional and social wellbeing. Each club, as part of their commitment to this initiative will adopt the GAA’s Mental Health Charter. For more information on the GAA Healthy Club project, please visit GAA.ie/community.